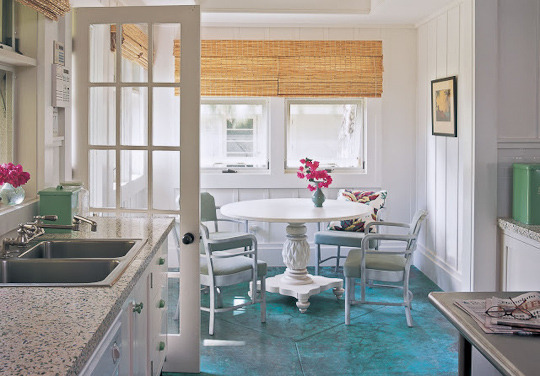 "This Hawaiian kitchen with blue floor, designed by Michael K. Smith, is bright and fun." When we get to coloring personal spaces, floors sometimes get ignored. Typical floor solutions like tile, carpet and hardwood are an investment to install. There can be a reluctance to change from a traditional material to the contemporary look of dyed concrete or opt for a painted floor. 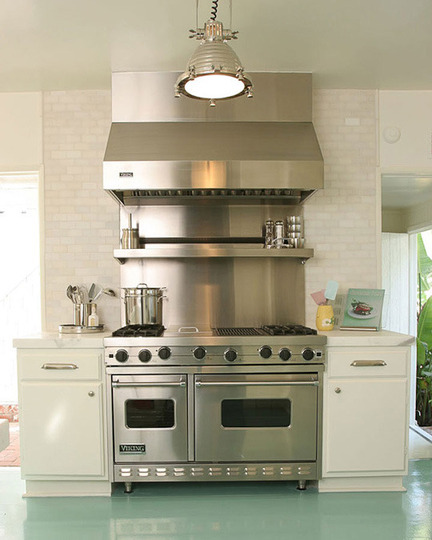 For those people willing to explore finish options, many great color solutions are out here. The rich navy mottling grounds this room. The space has the visual comfort of an old faded pair of blue jeans. 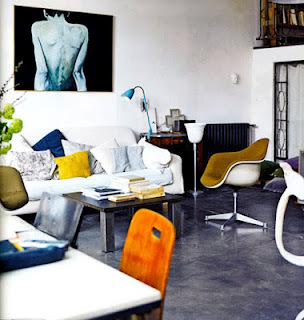 This shot is by by Petra Bindel from latest issue of Elle Decoration via Solid Frog. hey more beautiful post is this. that's i know images is the first impression of any post same as you have use nice looking images. I am grateful to you for this great content.I am reading your article and its very nice, useful & helpful for those guys who wanna know about the same. This is really great news about this concrete kitchen tables topi. Thank you for sharing it with us!